In its largest single order to date, Scania will deliver 100 liquified gas trucks to KP Logistik, based in Stavenhagen, Germany. The Scania R 410 tractor units will be evenly split between KP Logistik’s centres in Stavenhagen and Wustermark, near Berlin. The trucks will be used for deliveries of dry, refrigerated and frozen foods, primarily to retailers Netto’s and Norma’s stores in eastern Germany, including Berlin. In addition to the environmental aspects, KP Logistik benefits from the road toll exemption and subsidies on gas-powered vehicles that have been in force in Germany since the beginning of the year. These help offset the higher cost for gas vehicles. “That made it much easier for us to opt for gas technology,” says Brokholm. The new Scania trucks will be operated in the fleet four to five years and during that time each accumulate up to 800,000 kilometres. They feature a large cab with two beds, a premium infotainment system as well as an extensive safety package. Thanks to the two 340- and 400-litre capacity tanks, the trucks will have a range of up to 1,100 kilometres. By this summer, the fuel provider Liquind 24/7 will have permanent liquified gas filling stations at Wustermark and Stavenhagen in place, which will also be open to all customers. 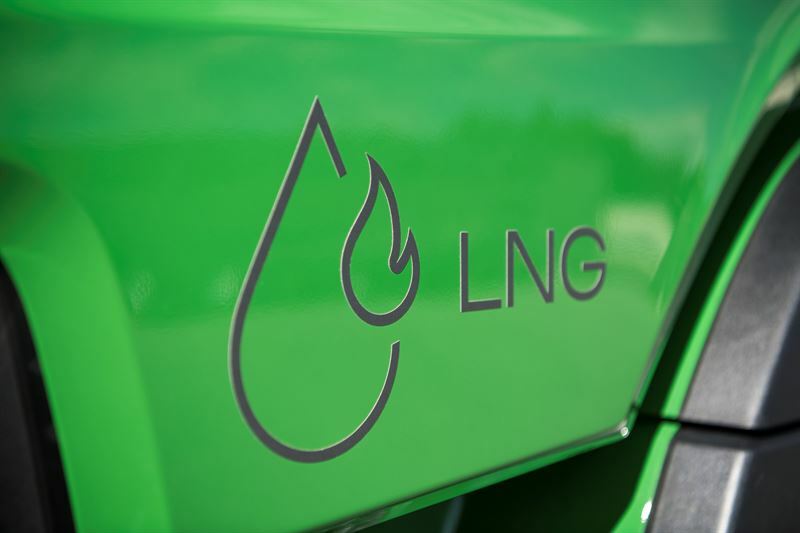 The liquified vehicle gas infrastructure in Germany is now gradually being expanded and will increase to approximately 20 filling stations by the end of 2019. The Danish third-generation family business KP Logistik established operations in Germany in 1990 and opened its centre near Berlin in 2005. With a staff of 400 in Germany, the company has a fleet of 150 Scania trucks. All KP Logistik’s new trucks will be delivered with a full-service maintenance contract. The dealer, LKW-Center-Petersen in Stavenhagen, has prepared its workshop and trained its service technicians in the safe handling of liquefied gas. Following the German parliamentary decision to exempt gas-powered vehicles from road tolls, Scania in Germany delivered its first liquified gas truck in September 2018. “We are seeing an ever-increasing interest in our gas vehicles and the order from KP Logistik is the largest so far,” says Christian Hottgenroth, Scania’s Truck Sales Director for Germany and Austria.